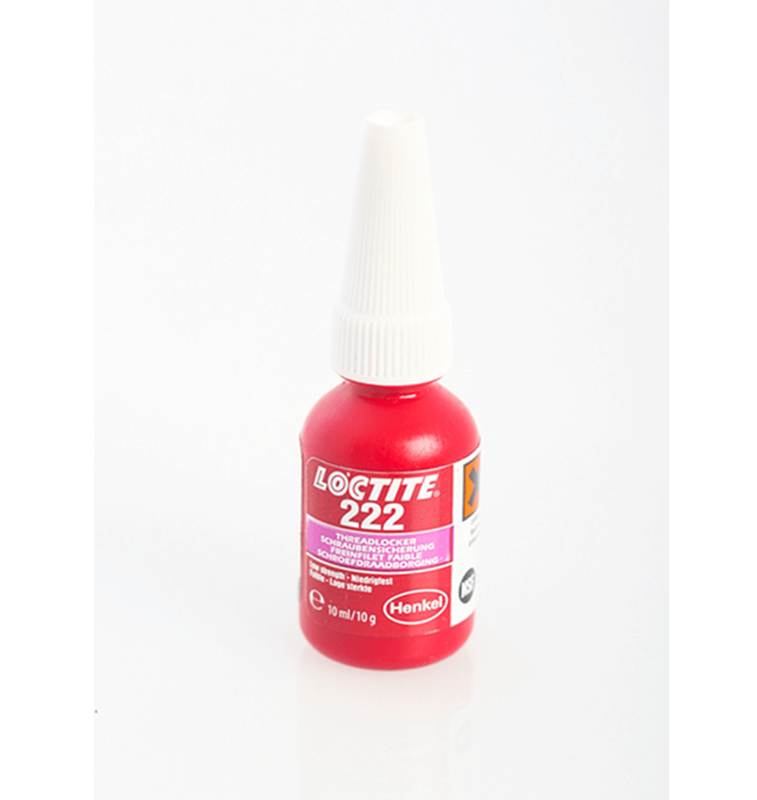 Loctite 222 is a low-strength threadlocker that allows the adjustment of screws including countersunk head screws and set screws. Good on low-strength metals which could fracture during disassembly, e.g. aluminium or brass. The product works on all metals, including passive substrates such as stainless steel, aluminium and plated surfaces. It is proven to be tolerant of minor contamination due to industrial oils, e.g. engine oils, corrosion prevention oils and cutting fluids. Where cure speed is unacceptably long, or large gaps are present, applying activator to the surface will improve cure speed. The graph shown in the data sheet shows the breakaway strength developed with time on M10 zinc dichromate steel nuts and bolts using Activator 7471™ and 7649™ and tested according to ISO 10964.